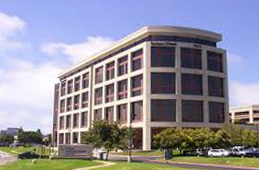 We are pleased to announce our new location in the Scripps/XiMED Building on the campus of Scripps Memorial Hospital. We are moving on up! As of January 2, 2013, we will be in our new space in Suite 840 (on the eighth floor of our current building). Marialyn Sardo, MD, FACS , board certified Plastic Surgeon, has been practicing in the San Diego and La Jolla area for over 20 years. We are pleased to specialize in a wide array of aesthetic procedures including breast augmentation, reduction, lift and implant revision, tummy tuck, liposuction, face and neck lift, mini facelift, eyelid rejuvenation, excessive skin removal,and injectables including Botox, Dysport, Juvederm, Artefill, and Sculptra. We offer complimentary consultations and personalized care. We carry the skin care line formulated by Vitality Institute, the makers of ViPEEL. These products are highly active featuring a multifaceted approach to optimizing the youthfulness of your skin by enhancing the texture, clarity, radiance and hydration of your skin. Ingredients are aimed at reversing damage caused by sun and aging. These products are formulated to protect and rejuvenate your skin.